Native apps are platform based. They are developed for specific platform like Android or iOS. Developers write code of iOS applications in Swift or objective C and for Android native apps they use Java as language tool for development. Code runs faster: As they are using core’s programming language and API’s it makes they more efficient, faster and high level performance. Native apps are more secure because of multi factor authentication. An app can have an embedded certificate, better than a browser for preventing man-in-the-middle attacks. It is easier to add more features at later stage in the mobile application. Take more time to develop as compare to Hybrid Application. Its development is bit costlier comparatively to hybrid apps development. Hybrid means same code will run for both platforms (iOS and android). Hybrid apps are typically easier and faster to develop than native apps. When it comes to mobile app development, there isn’t any one-size fits all approach that should be followed. 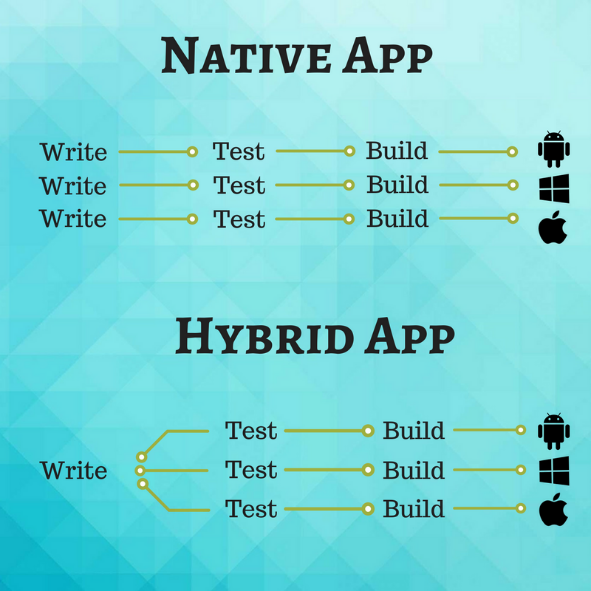 You can either develop a native app, a web-based mobile app, or a hybrid mobile app. Hybrid Mobile Apps Require a More Extensive QA Testing and Integration Phase. What is mobile friendly website and why it is required? A mobile-friendly website is a website designed to display website content on mobiles and tablets. Mobile friendly websites optimized for mobile devices because it makes it easier to access for mobile users to read and navigate the content of website. The mobile-friendly website easily adjusts accordingly to the screen size and resolution of the mobile devices. Developers formatted the interface and the content of your website in such a way that when user open the website on mobile he feels the navigation and content according to screen size and more optimized. Function like touch friendly elements can make the website easier to use and user use it very easily on phone as well. To make a choice from native and hybrid app development depends upon your/client’s conditions, budget and project idea and requirements. Both have their pros and cons, which already mentioned above helps you to decide better. For more clearer vision and to decide how to choose which platform from both, lets have verbal communication as we understand it would give you more clarity to understand your target audience and requirements. Feel free to contact us. We are always ready to help.